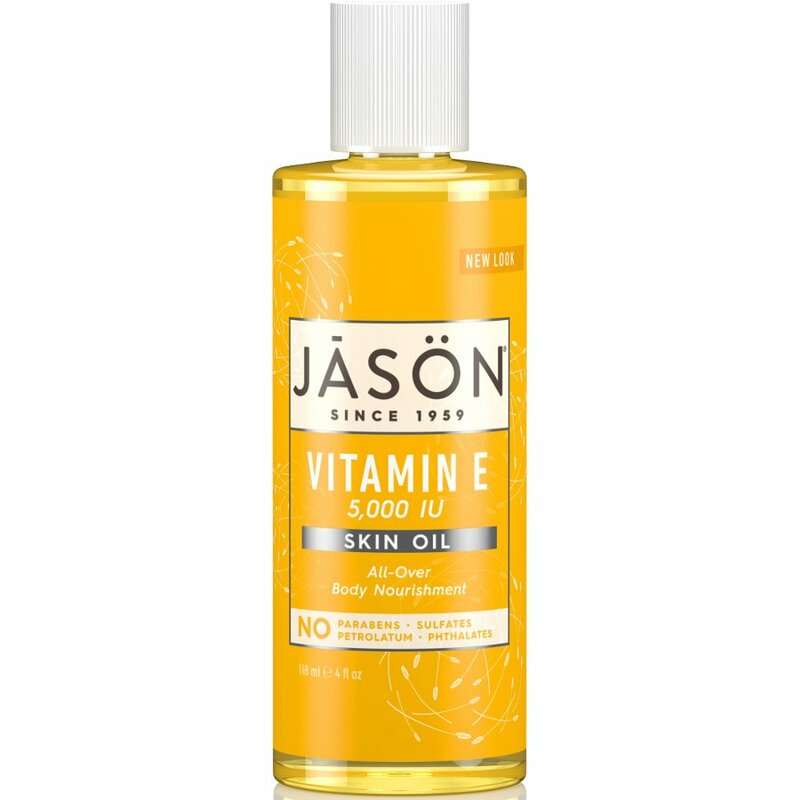 Jason Vitamin E Skin Oil is a natural, antioxidant rich mix of Vitamin E with oils of Avocado, Almond, Apricot, Sunflower and Wheat Germ that deeply penetrates the skin to provide nourishing moisture, protect against fine lines and wrinkles, improve elasticity and promote healing. An all-over body treatment that can be used on its own as a deeply nourishing and soothing oil or use a few drops in your favourite Jason’s Hand and Body Lotion. Helianthus Annuus (Sunflower) Seed Oil*, Carthamus Tinctorius (Safflower) Seed Oil*, Tocopheryl Acetate, Tocopherol, Oryza Sativa (Rice) Bran Oil, Prunus Amygdalus Dulcis (Sweet Almond) Seed Oil, Prunus Armeniaca (Apricot) Kernel Oil, Persea Gratissima (Avocado) Oil, Triticum Vulgare (Wheat) Germ Oil, Lecithin *Certified Organic Ingredient. The Jason Organic Vitamin E Skin Oil 5000IU - 118ml product ethics are indicated below. To learn more about these product ethics and to see related products, follow the links below. Gorgeous smell, like cherry bakewell tart! Great for the skin, using it to combat against stretch marks and it's super nourishing for my belly. There are currently no questions to display about Jason Organic Vitamin E Skin Oil 5000IU - 118ml.